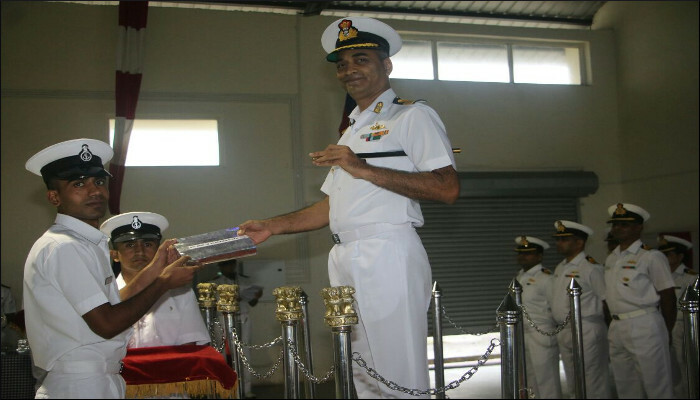 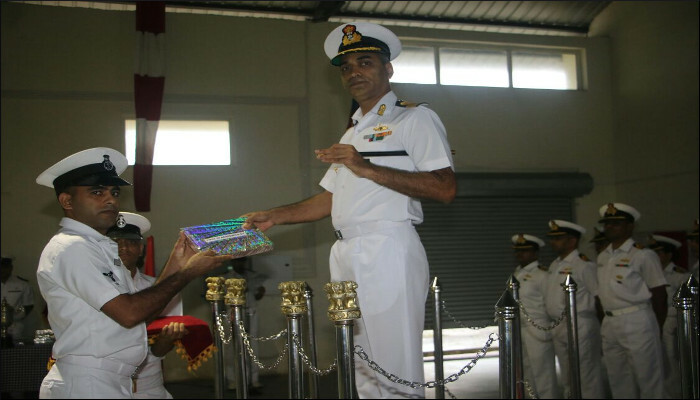 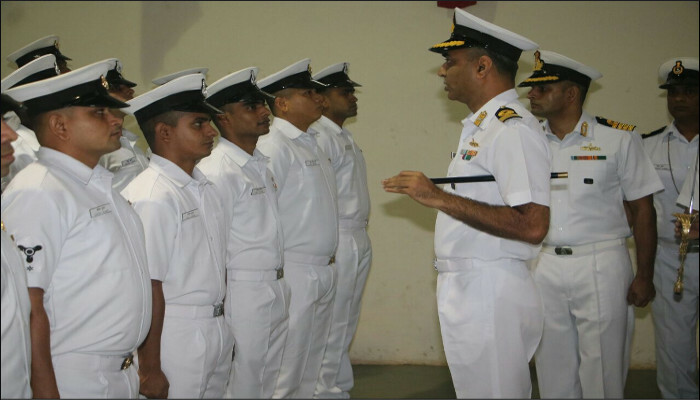 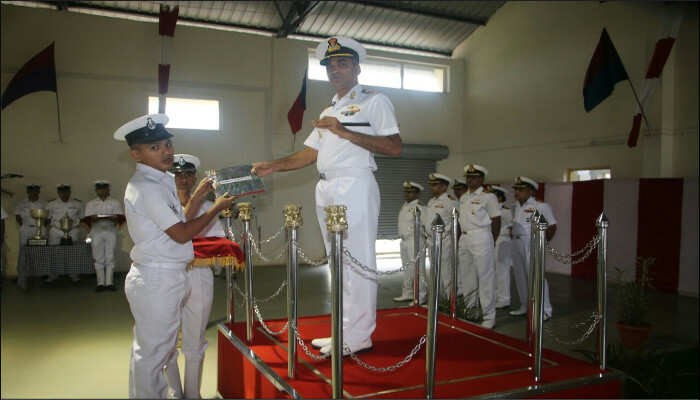 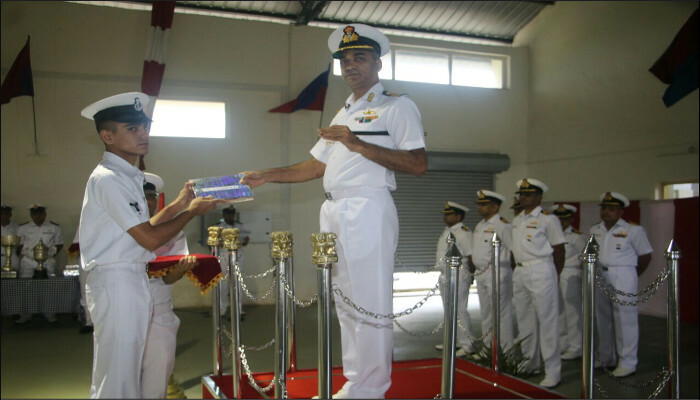 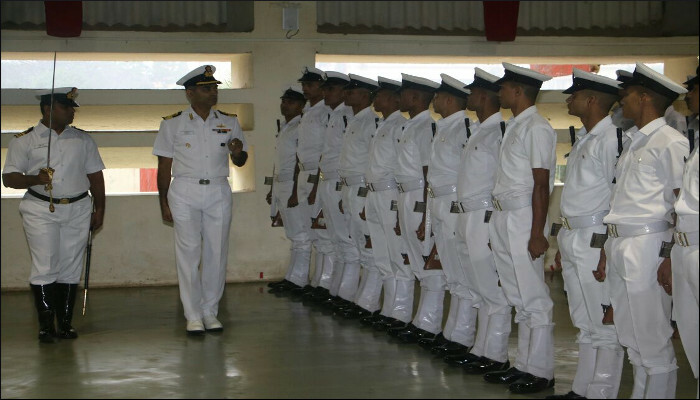 153 trainees of the Merged Artificer Apprentice Course – XXVI, comprising 114 from the Indian Navy, four from Indian Coast Guard (ICG), 24 from DEDH Course of ICG and 11 from four friendly foreign navies (Sri Lanka, Nigeria, Tanzania and Mauritius), graduated from INS Shivaji on 10 August 2018. 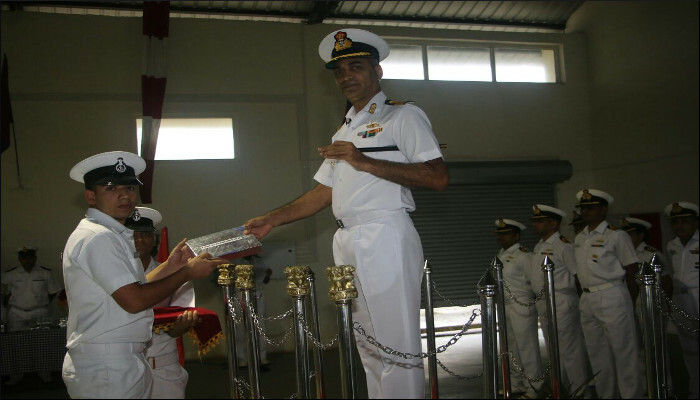 The Passing Out Parade, reviewed by Commanding Officer, INS Shivaji, marked the completion of 117 weeks of ab-initio training. 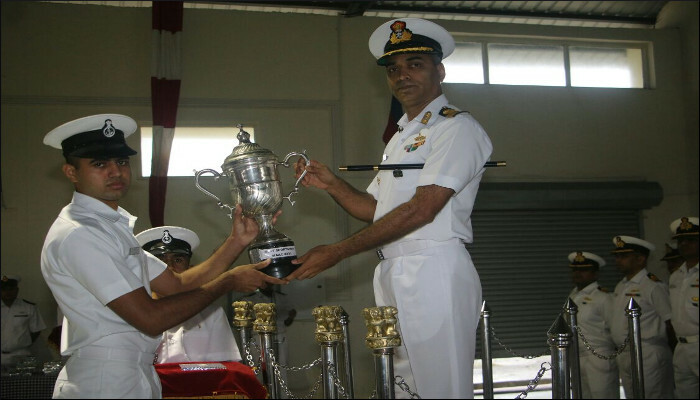 Yogesh Kumar LME stood first in the overall order of merit and was awarded the FOC-IN-C South Gold Medal. 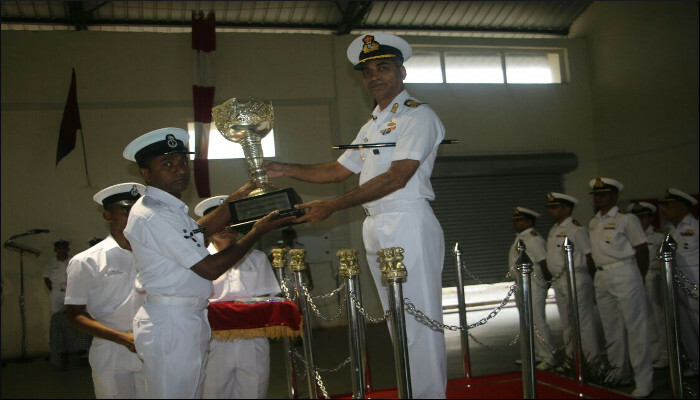 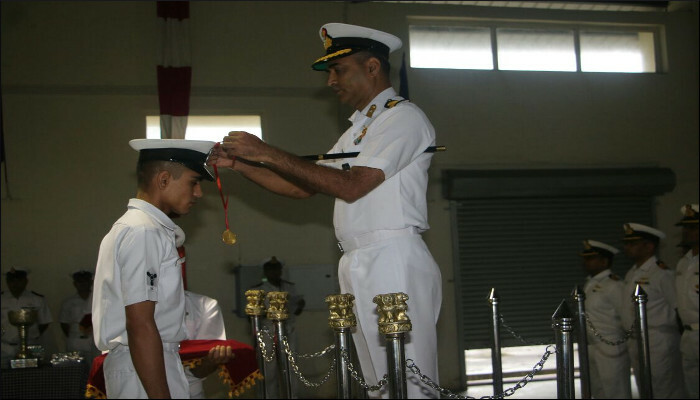 Ajay Redhu ERA/APP was adjudged as the Best Sportsman of the course and was awarded Commodore’s Rolling Trophy and a Book Prize and WPND Wijerathne, LME of Sri Lankan Navy was adjudged first in the order of merit amongst the international trainees.